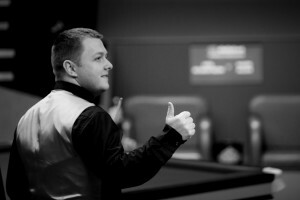 Mark Allen won his first title in 15 months by beating Ryan Day 4-0 in the final of the Victoria Bulgaria Open in Sofia to earn a last-minute ticket to the 188BET Champion of Champions. 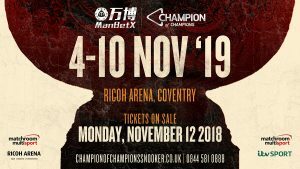 The victory means Allen earns a place at the 188BET Champion of Champions, which starts in Coventry on Tuesday, and will face Barry Hawkins on the first round on Friday. 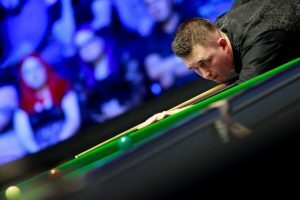 Two-time ranking event winner Allen had a disappointing 2014/15 season but has since been reunited with coach and mentor Terry Griffiths and showed signs of a return to form in reaching the semi-finals of the Shanghai Masters and quarter-finals of the International Championship. And he has now added to his silverware collection having won seven matches in Sofia. Breaks of 65 and 76 put him 2-0 up on Welshman Day and he made a 56 in the next before securing it on the final pink. 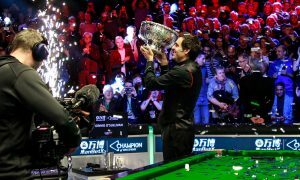 Day, who was trying to win a title carrying ranking points for the first time in his career, had chances in frame four but couldn’t take advantage and Allen cleared from yellow to pink to secure the trophy. 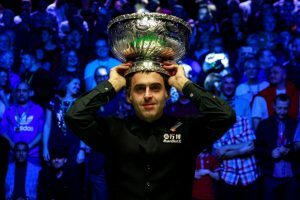 “I’m very happy to get another tournament win under my belt,” said the Northern Irishman. “To win 4-0 in the final is a good way to do it and shows my game is in good shape. I haven’t been too happy with my performances this season even though I’ve been winning matches, but now I’m getting closer to where I want to be.